Remember when weak-hitting middle infielders were acceptable so long as they were slick with the glove? Going into 2015, it would be bold to predict any Shortstop other than Tulo passes 20 HRs. At 2B, maybe Dozier and Cano hit that mark? 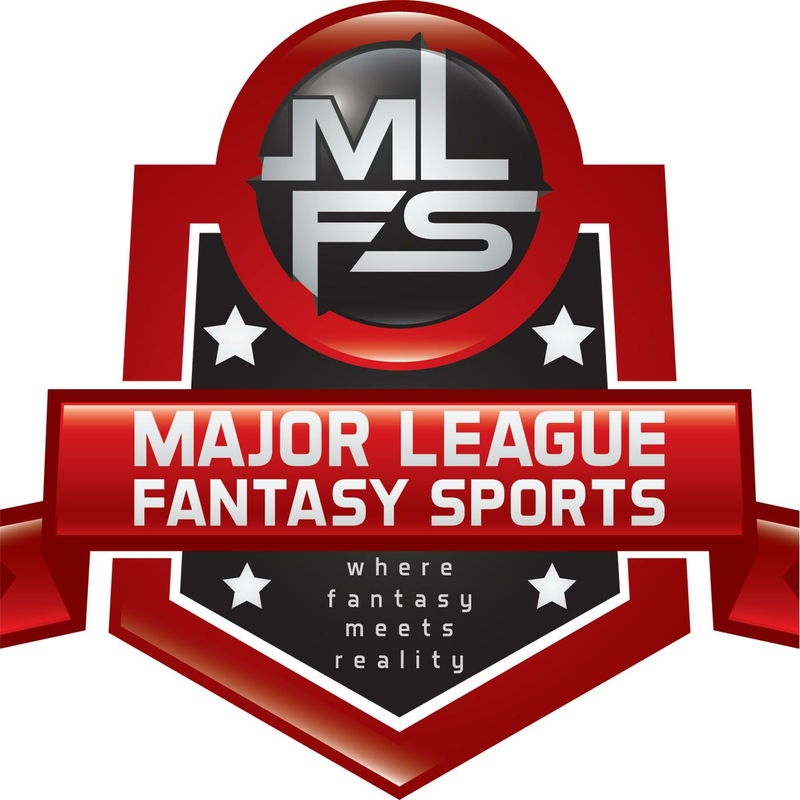 The fantasy owner’s strategy became solely predicated on the league settings and roster sizes. You can’t even depend on the middle infield to provide steals as only seven middle infielders reached over 20 steals last season. Fear Not! Help is on the way… as early as this season. In fact, there is a ton of young talent rising through the minor league systems (especially at Shortstop) that may change the way we look at the position in fantasy. This started last year when Carlos Correa entered with a bang and it is just the beginning of a group of three to five-tool middle infielders that will hit the Major Leagues in the next four years. Many talented prospects are projected to hit the bigs as early as this season and some of them have the tools necessary to stick at the position. Often the talented middle infielders will get moved to a corner infield position (or outfield) because their body type or skill profile fits better at 3B or in the outfield. The new crop of Shortstops mostly project to stay at the position. However, the 2B are a little more difficult to project. Many of the top 2B prospects may be playing other positions before they reach the Major League level. I’m not going to spend a ton of time on this first tier. If this isn’t your first year playing fantasy baseball, you probably know all these guys. Seager is arguably the #1 overall prospect in all of baseball. Some still give Byron Buxton the nod here, but I would give it to Seager due to the position he plays. He may ultimately slide over to 3B at some point in his career, there is no one pushing him in the system and there is a spot open for him at SS right now. He is expected to be the Opening Day shortstop and hit right away in the top half of the order. He worked hard to improve his strikeout rate and had a strong showing in his limited exposure to Los Angeles in September. He should be the second SS off the board in all dynasty leagues after Carlos Correa. If you have him, enjoy or sell for a king’s ransom. Moncada probably won’t be ready until 2017. Despite a rough start in A ball last year, he finished strong with a glimpse of what’s to come. He has three plus-tools that should be exciting spark plug at the top of the Red Sox lineup for many years. He mastered the strike-zone better as the year progressed and if he can get on base at a 38% clip, he will cause havoc on the base-paths. In just 363 pro plate appearances, he raked up 49 SBs and scored 61 times. He may develop enough power to get double-digit home runs, but that isn’t necessary for him to be an elite player in this league. If your dynasty league allows him to be in your draft (as opposed to bid on as a free agent), he MUST be your #1 overall pick. There are three other first year pros on this list but Moncada is a special talent and probably needs just one full season to see AA. At some point in 2017, Boston needs to consider bringing him up to Fenway, even if it means moving Pedroia to DH who is signed through 2021. Moncada could move to 3B, but his offensive skill set is better suited for 2B. It’s too bad that there isn’t a ton of defensive metrics in fantasy baseball. I know there are leagues out there that will use them, but in most leagues, a special elite defensive player like Arcia won’t get as much love as he deserves. He should be a perennial Gold Glove shortstop and could get one in one of his first few seasons. He is not without offensive tools as well. He is listed third on my rankings because he has four potential plus tools which is unheard of. Don’t expect many homeruns, but he projects as a solid spray hitter to all fields and has excellent plate control. He doesn’t have elite speed, but he’s an exceptional and smart base runner that he will steal some runs and go first to third when others would not. He could easily get 25+ SBs to boot. Arcia should be in Milwaukee in early in 2016. He is ready defensively and offensively. With only Jonathan Viller in his path, the only thing that could keep him out of Milwaukee this season is service time. The Phillies farm system was the laughing stock of the league just a year or two ago. Suddenly, the have a deep system and Crawford is by far the best prospect in the system. He is the 4th player on this middle infield rankings, however, he is a Top 10 overall prospect in baseball. Another tier 1 player with four potential plus tools, he doesn’t have any plus-plus tools but he grades 60+ field, arm and hit and could develop the run tool to a plus as well. He is not quite in the defensive class with Francisco Lindor or even Arcia above, but he is just a step below. He can make all the plays and even shows off a bit in the field. At the plate, he could bat 1st or 2nd. He has an advanced approach at the plate who will walk more than he will strikeout. He gets on base, will still a base and will score a ton. Crawford should reach the Major Leagues this season as long as Philadelphia is willing to start his service clock. He really doesn’t have anything left to prove in the minors and only Freddy Galvis is in his path. He should be rostered in every dynasty league but now and consider drafting him late in redrafts as he could be a huge contributor the second half of the season. Now the we have reached Tier 2, these players are either on the cusp or could be Tier 1 in another year or two. They all have at last two potential plus tools and will contribute in three or four offensive categories. As the #1 overall selection in the 2015 amateur draft, Dansby Swanson has had a unique beginning to his pro career. He got hit in the face with a pitch and he was the first player to ever get “officially” traded in his first calendar year after being drafted. Prior to this, there was a rule in place that prohibited teams from doing such. The Diamondbacks focusing on their rotation this off-season, sent him to Atlanta in the Shelby Miller deal which was really strange to me. Arizona does not have a Top 100 SS in their pipeline to make him expendable. GM Dave Stewart must have felt the pitching was more important. What the Diamondbacks lose, is the Braves’ gain. Swanson was an advanced college bat with four project-able plus tools. He is may never be a franchise player, but despite his ceiling being moderate, his floor is pretty high. He went #1 because he’s a close to a “sure thing” as we have seen in a long time. All his tools should translate to the pro game. He is has an aggressive approach at the plate, however, he will lay off bad pitches. He had a fantastic first 99 plate appearances in Low A with a 14.1% BB rate AND K rate. He drives the ball well but his weight distribution will limit his home run power as he gets little to no lift on his swing. He should have no issues sticking at shortstop long term. Dynasty owners should target him early if you are looking to compete soon. He won’t likely see Atlanta in 2016, but could make the team in 2017 out of camp as the starting SS and hit 2nd in the lineup. If you aren’t going to be ready to make a run for a few seasons, you might be better off targeting the next guy on the list. Rodgers is the second of three prospects on this list that was just drafted in this past June’s Amateur Rule 4 draft. Rodgers was selected third by the Rockies, but many believed the top overall prospect in the draft. He was just out of high school, so further away than Swanson and Bregman who were drafted before him. However, he may be a legitimate five-tool athlete and the Rockies can afford to wait for him. Not surprisingly, he is often compared to Troy Tulowitski which is the franchise legend he is aiming to replace. He projects for more power than both Swanson and Bregman, which is why he is so highly regarded as a middle infield prospect. Once he fills out, he may be have the body type to profile at 3B. But if he can play shortstop adequately with his borderline plus arm, he will be of more value there. His swing and hard contact lend itself to potential 25+ HR seasons down the line but will get his share of strikeouts. 20% K rate should be expected throughout his career. I personally like the guys a little more polished coming in, but Rodgers could contribute in all scoring categories in the future and be a perennial Top 25 fantasy contributor. Dynasty leagues who have yearly amateur drafts should consider him with your #1 overall pick. Dynasty startups should also consider drafting him in the first 10-12 rounds or he won’t be around. Teams that plan to “rebuild” from the beginning, will grab him up early to build around. He is at least three years away and may not be up until 2019. Unless you are in a deep keeper or dynasty league, simply keep him on your radar and watch him develop. Trea Turner was “unofficially” the first draft pick to be traded in the same calendar year he was drafted. Last year, A.J. Preller came in and was very aggressive in bringing players to help the Padres compete immediately. As part of the Will Myers trade, he covertly traded Turner as a “Player to Be Named Later.” Once the deadline passed that draft picks could be traded, he was officially shipped to Washington and impressed enough that he was called up to the parent club in September. His speed will be his meal ticket. He is rated 75-80 as a plus-plus run tool. He combined for 31 swipes over four stops in 2015. He should be able to get 40+ per year. He may be able to get 8-10 HRs in a given year, but that won’t be counted on. His speed and ability to get on base should cement him as the lead-off man in Washington for the foreseeable future. Although he has good pitch recognition. he does strikeout at a 20% clip. I supposed if he continues to get on base 35% of the time or more, you can live with the strikeouts. I expect new manager, Dusty Baker, to go with a veteran at shortstop to start the season. In house candidates are Danny Espinosa and/or Stephen Drew. These guys will not hold Turner down for long. Any dynasty or deep keeper league already has him rostered, but he is also worth drafting in later rounds of redrafts. The Astros have figured it out. Every having losing season after losing season, they have acquired enough talent to but together a true dynasty in terms of position players. In 2015, they took a huge step forward by making the playoffs and wining the Wild Card game before running into the buzz-saw that was the Kansas City Royals. In the midst of the season, they still had the #2 overall pick int the amateur draft. With Dansby Swanson off the board, the highest ceiling pick would have been Brendan Rodgers. However, it will be several years before he is ready to contribute and the Astros window is opening now. Therefore, they pulled off the perfect strategy and easily had the best draft performance in the league last year. By “reaching” for arguably the 4th best prospect in the draft, the were able to sign him under bonus slot and had enough money to draft AND sign two Top 10 draft prospects, Kyle Tucker and Daz Cameron. Both of these are teenagers with MLB pedigree and Cameron dropped out of the first round because teams that he would not sign and go to college. To top it off, Bregman is also the most polished hitter in the draft class after a career at LSU. Despite less than one full season of pro ball, Bregman could probably hit in the Majors right now. Right out of the draft they assigned him to A ball and he finished in High A. He doesn’t have any below average tools and his hit tool is far advanced for his experience. He has excellent pitch recognition and plate discipline. In just over 300 plate appearances he had only 30 strikeouts and also had 29 walks. Hovering just under 9% for BB% and K% is fantastic at any level. Good thing for Houston, there is no need to rush him. Give him a chance to develop a little more power in the minors and where they want him to play defensively. Despite not having the best range at SS, it is probably is best position, however there is they guy already there named Carlos Correa. Word on the street is they may move Bregman to 3B. In my opinion, this would be a mistake. He can/will play shortstop well enough to stick at the position and .300 avg., 15-20 HRs and 25 SBs could be a regular stat line for him. This would represent all-star caliber numbers at shortstop. Correa has the ability to shift to 3B and his offense profiles better for a corner infielder. Houston could reasonably expect to run out nearly everyday an infield alignment of 1B – AJ Reed, 2B – Jose Altuve, SS- Carlos Correa and 3B – Alex Bregman as early as 2017. Add George Springer, Daz Cameron, Kyle Tucker and Derek Fisher to the OF/DH mix by 2019 and this could be record breaking offensive production. All eight of these players are under club control through at least 2019. Another crazy option would be to trade Altuve for a top line starting pitcher. If they like J.D. Davis enough to be their everyday 3B, Bregman could slide over to 2B and his offense would also be all-star caliber for that position. You can then keep Correa at SS. Personally this isn’t as scary as the option #1, but Houston might level their strength to improve their pitching pipeline. Plus Run and Plus Hit tool should make him a valuable fantasy asset as soon as this season. He doesn’t take many pitches and he struggles with breaking pitches outside the zone. This will limit his ceiling as a lead-off man, but he could still manage 40+ SBs despite a low OBP. The oldest “prospect” in the group, the 30-year-old will likely play all over the field in 2016. He should get regular at bats against lefties either at 2B or LF. High contact rate but not a high average guy. Plus Power for a 2B, but if he transitions permanently to LF or 3B, the 18-20 HRs per year will not be enough to warrant the attention that he has garnered in dynasty circles. Unlike the two listed above, Barreto is not projected to reach the Major Leagues in 2016. He’s still technically a teenager, but his plus hit and run tools and above-average power will push Oakland to get him in the lineups as early as 2017. He is the core return that Oakland got back in the blockbuster Josh Donaldson trade, so failure will not be an option. He may not project long-term at SS (CF maybe? ), but he should stick there for a while still and would be a nice consolation if you miss out on the middle infielders in the top two tiers. Mateo is still young or he would be higher up the list. Most scouts are giving him an 80 grade for speed, which is the highest possible grade. He is developing his defensive skill set and looks to remain at SS for the long haul. The comparisons I’m reading are a young Jose Reyes. If he improves his approach at the plate to get on base a little more, his speed could lead to 60+ SBs annually. Still only 20, Mondesi hasn’t developed the hit tool or plate discipline that the Royals had hoped. He has plus-speed and defensive skill set (both arm and glove) that he could still develop into an all star caliber player, but it might not translate to fantasy the way dynasty owners would like. Adames is another SS that will likely be a better Major League player than he will a fantasy contributor depending on the size of your league. He is average across the board in all hitting tools and his defense will likely be his calling card. That being said, in deeper leagues, .250 avg with 10 HRs and 10 SBs isn’t bad for a flex middle infield slot. Torres is still a teenager, but has a plus hit tool and could develop all five tools into average or above. He could easily jump into tier 2 with another season of experience and has always faced older competition at every level. Could be a 12-15 HR and SB guy with a .280+ average by the time he’s in his prime. Should be on all dynasty rosters or keeper leagues with a MiLB roster. Ozzie is a shortstop with an above average arm and glove. He has shown plus-hit and run tools which projects as an excellent lead-off hitter. He needs another two years or so to develop his tools, but unless traded, he will need to move to 2B because Dansby Swanson is the future SS for the Braves. Will be a nice contributor in fantasy but don’t expect any power. Gordon is another talent that could jump up a tier or two as he develops. Likely needs another three years, he hasn’t progressed as quickly as the Twins had hoped, however it does appear it is starting to click with him. His fielding should be good enough to stick at the position and unlike his brother, Dee, should hit with enough power to see double digit HRs most years. 25+ SBs and .300 avg. could also be a normal stat line once he hits his prime. He is a good deep roster stash.